Travelling through forests, by the sea side, down the valleys or canoeing across the lakes had been done in the past where man moved in groups circling the aged and the infant keeping them under close watch and protection. It was during the time when man led the life of a hunter gatherer. The going was tough. On the way to new pastures, they met dangerous hazards. Most of the movement was done of foot. The water bodies like rivers, lakes and lagoons were crossed in indigenous boats and canoes. The test of the hardship was a mammoth ordeal and those survived lost a fraction of their original team to animal attacks on land and in rivers. Rival tribes quite often were major threats resulting in bloodsheds and more casualties. There were cannibals on the route. Human flesh was simply their dietary preference. In the end of the long treacherous voyage, perhaps only a small portion of the prehistoric tourists reached the ultimate destination. Whether it was purely the thrill and adventure of the trip or a mix of necessity and fun inspired these large migrations are not clearly defined. Depictions inscribed in the natural cave paintings, raw murals, rock art and stone sculptures often give a sketchy detail of the voyages undertaken. They crossed through nameless countries and geological boundaries. 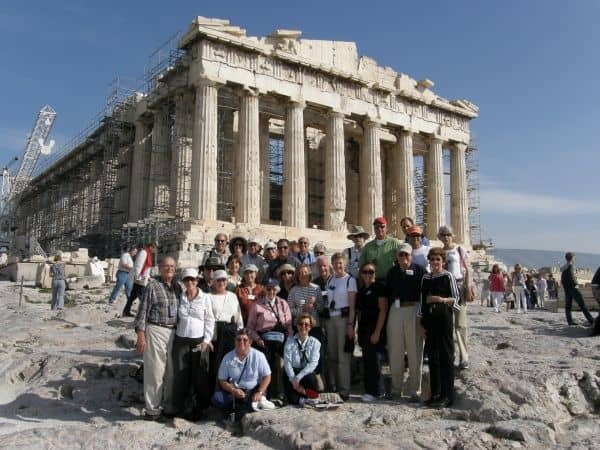 According to history, Greece has been a major tourist draw for the senior citizens all over the world for its wealth of culture, history and amazing sun kissed pristine Mediterranean shoreline. Cultural swaps were carried out between Greece and the Roman Empire. The philosophy and cultural achievements were very rich, and there were impetus enough for the aged whose minds have been seasoned with experience and wisdom. 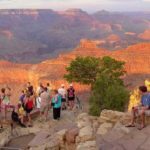 The Pre Columbian era saw a spurt in senior tourism where large groups of people migrated from one place to another through the dense growth of Meso American jungles across rough terrains in quest of cultural pursuits. Awe inspiring monuments and Mayan pyramids stood as grand architectural feats and magnificent temples for adoring the sun god. These legendary structures attracted the senior tourists in the past, and they still do now. In Japan, the aged tourists have been on voyage and pilgrimage since antiquity. There is the famous place called Komano Kodo, and the ancient track along which aged pilgrims travelled is still in existence although in semi ruins. This legendary place has many important shrines and temples for pilgrims to pay homage, and the custom is almost a thousand years old. The ancient social infrastructure and support was congenial enough in those days to encourage tourist to undertake religion motivated trips and pilgrimages. Kumano Kodo is the oldest centre for such sacred expeditions along with three more shrines called Hongu Taisha, Nachi Taisha and Hayatama Taisha. In India, senior tourism has a great history as well. Visits to Kumbhmela at an interval of twelve years are still quite popular among senior citizens. It was often felt this sacred spot washed by sacred rivers was the most sought after destination for a voyage, and the dreams of life remained unfulfilled unless the holy Kumbh is visited. Senior tourism is not a recent phenomenon. Expeditions and voyages particularly inspired by religious motives have inspired the senior tourist down the ages and from different corners of the world. Unless physically incapacitated and worn out by age, the long cherished desire to explore the world is always inherent in man and it doesn’t go on the wane even though age has him in grip. It is a proven fact based upon verified data that confinement in close quarters speeds up the ageing process, and it certainly has its toll on the mind and body. The very desire to survive diminishes. This is a ground reality realized by our forefathers, and they did not stop from undertaking long voyages. 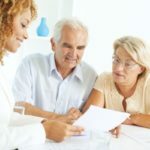 Is senior tourism for you?